Jonathan Larson died tragically young, aged just 35. A writer who touched so many lives, it was an inspired idea that saw Katy Lipson and Guy James mark the twentieth anniversary of his passing by staging a concert to remember the man and his work. 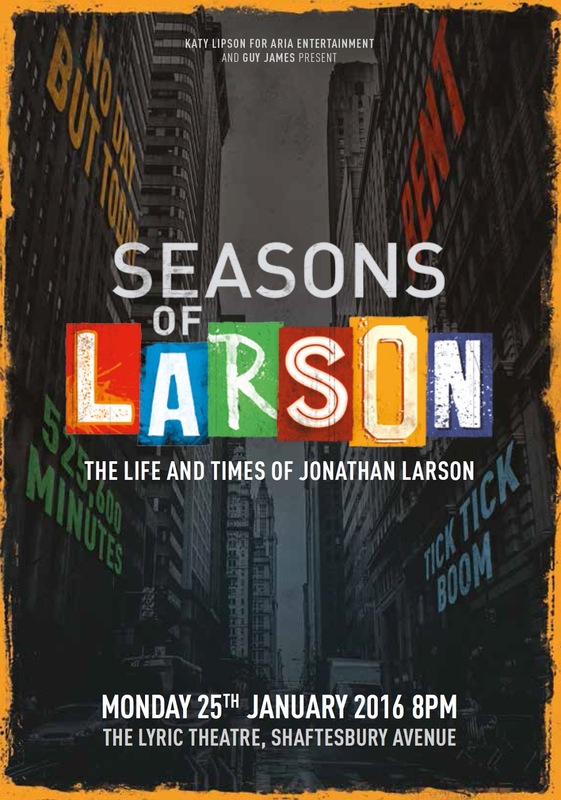 Seasons Of Larson was a journey back to “the end of the millennium” for an emotional roller coaster of songs, chosen to represent Larson’s best. The evening had pre-recorded tributes from its performers played out as voicemails throughout the concert – a clever nod to Rent – which despite being cutely anecdotal style stories, in actual fact provided the audience with an opportunity to check back in to reality, shuffle themselves in their seat and prepare for the next (and for the most part self-indulgent) turn. Notwithstanding perhaps a little too much eye-closing, air-grabbing and (ahem) lyric-dropping there were some dazzling moments that stunned the audience, none finer than Debbie Kurup’s Come To Your Senses from Tick Tick Boom. Kurup’s performance stole the show, proving utterly believable from beginning to end. There was light relief from the endearing Noel Sullivan whose comedy timing and vocals were both on point as he delivered One Of These Days towards the end of the Spring Season, with the sassy Krysten Cummings adding many more laugh out loud moments in Out Tonight and Break Out The Booze. Subtle and clever staging from Grant Murphy allowed the cast room to breathe, nicely making way for Anton Stephans’ rendition of I'll Cover You to totally bring the house down. The predominantly Renthead audience were clearly hungry for anything from that show. Within seconds of hearing the opening bar of any number, excitable murmurs and ear-pricking would ensue, none more so than for Seasons of Love. The song aptly fronted the concert’s second half, as of course it does the show and performed by the whole cast, it proved a very special and unique act two opening. The evening proved a lovely tribute to the writer, with neat musical direction from Gareth Bretherton. Here's hoping a Larson show may come back to the London theatre scene soon.